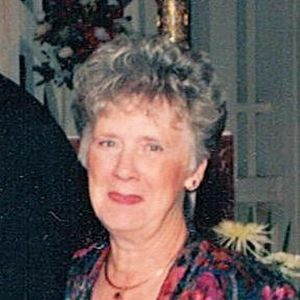 Mary Lou Yarger, 86, of Aurora, passed away Monday, April 1, 2019. She was born August 12, 1932 in Chicago, daughter of the late George and Helen Vonderohe. She is survived by her children, Rick Ira (Denise) Yarger, Christopher Allen (Lisa) Yarger, Mark Steven Yarger, Holly Ann (Terry) Belmont (Yarger) and Brian Lee (Andrea) Yarger; 19 grandchildren and 7 great-grandchildren; siblings, Kenneth (Bonnie) Vonderohe and Nancy (late Joseph) Forslin. Along with her parents, Mary Lou was preceded in death by her loving husband, Eugene. Visitation will be held on Friday, April 5, 2019 from 4 PM – 8 PM at The Healy Chapel, 370 Division Drive, Sugar Grove, IL 60554. A funeral service will be held at 10 AM on Saturday, April 6, 2019 at the funeral home followed by a graveside service at Lincoln Memorial Park. IN HONOR OF MARY LOU PLEASE WEAR SOMETHING PURPLE FOR THE SERVICES. Add your thoughts, prayers or a condolence to Mary Lou's guestbook.